I am beyond excited to share this session with you all! 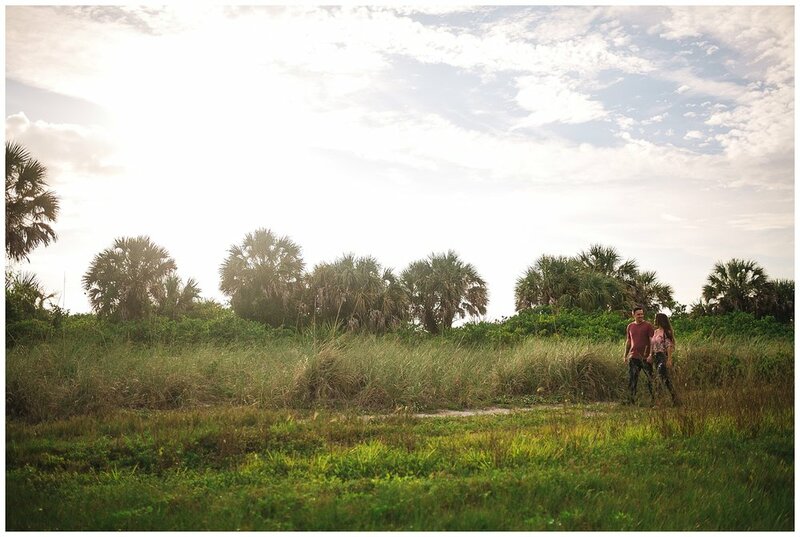 We had so much fun capturing and coordinating this Florida evening sunset engagement session. 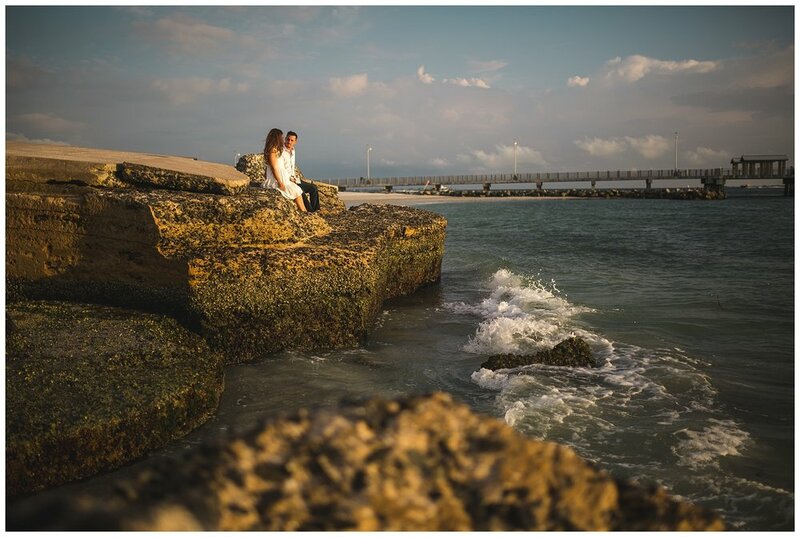 Erica and Primo decided on Ft. De Soto for their romantic engagement session, and we couldn't be happier with their location decision. These two are so incredibly amazing together. 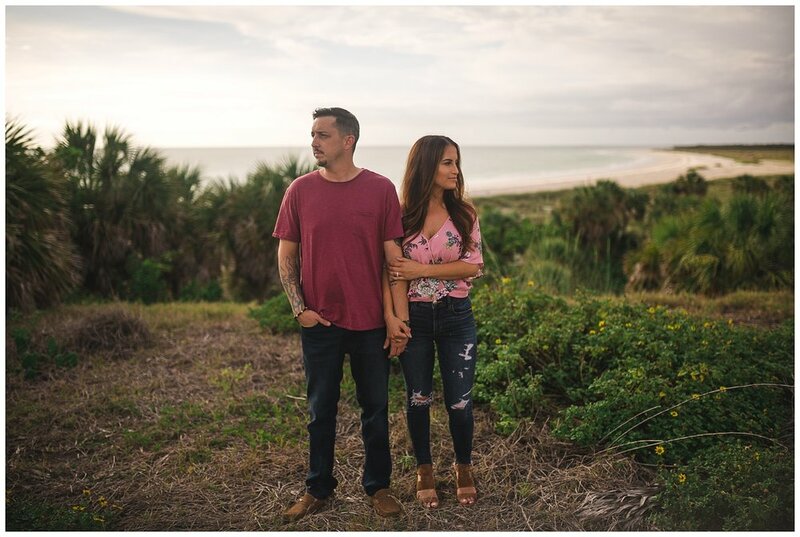 We love to learn about the stories that bring couples together, and this one definitely hit home for the two of us. They met over their shared love for the universal unifier...Italian food. Yum! Primo is a chef at a local Italian restaurant here in Tampa. Erica just so happened to work next door at Purre Barre, and was nice enough to stop in fairly often to grab her and her coworkers lunch. The rest, as they say, is history. Listening to them recount their history together was just too adorable. 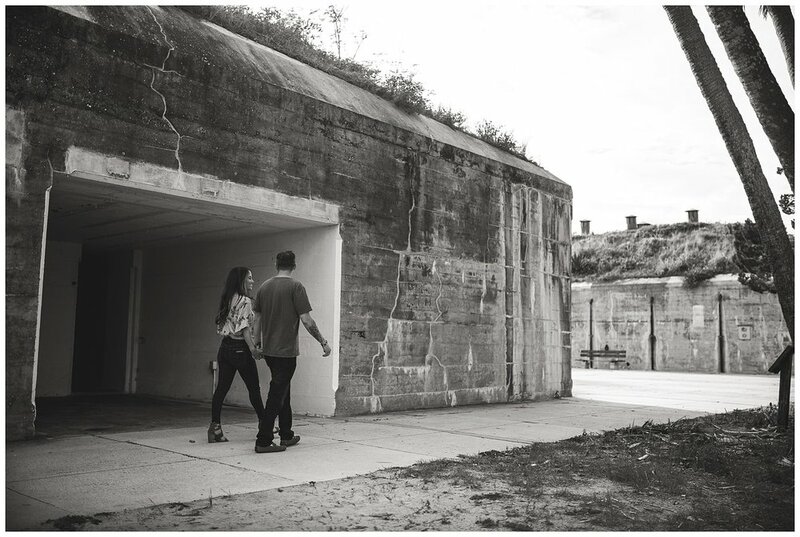 When it comes to outdoor engagement photography, location and lighting are both so important. They really do set the mood. We chose an evening session so that we could cultivate a romantic and dreamy feel for the session. 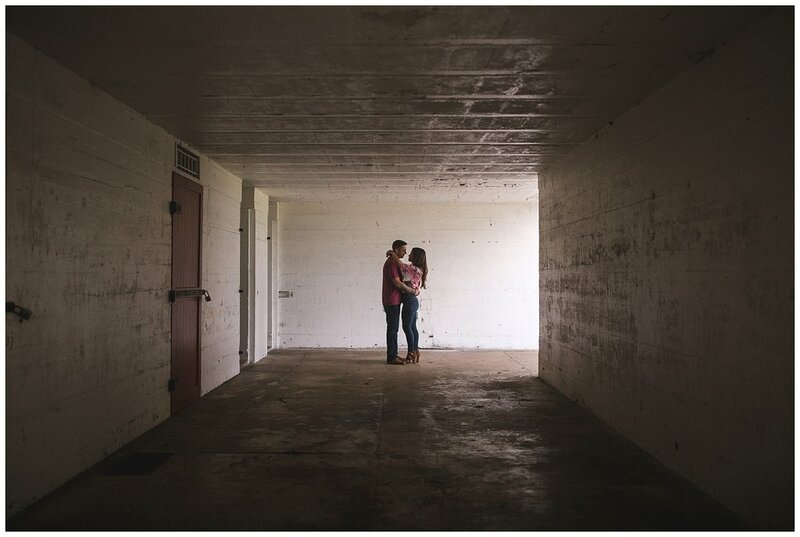 Capturing the shots under the garage and grassy field allowed their personalities to shine, but the true magic happened as soon as we stepped foot onto the beach. I'm not sure what it is about a Florida sunset, but there is truly something mystical in the air as the sun sinks down below the waves. We loved getting to know Erica and Primo better. Their care-free spirits and adventurous hearts allowed us to explore nooks and crannies of Ft. De Soto. Once the session was coming to an end, these two snuggled up and jumped in the water. It was the perfect end to the perfect session!